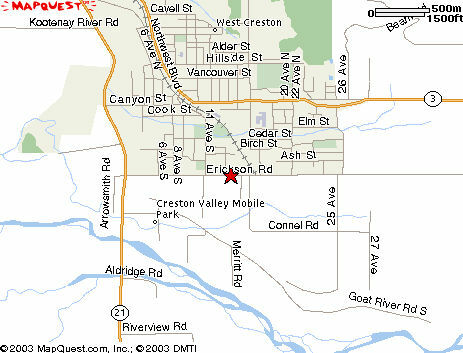 Scotties RV Park and Campground located in Creston in southeastern British Columbia. 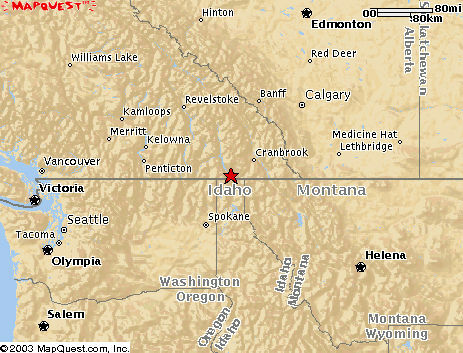 We are about 8 miles north of Idaho, 60 minutes west of Cranbrook and 70 miles from Nelson. 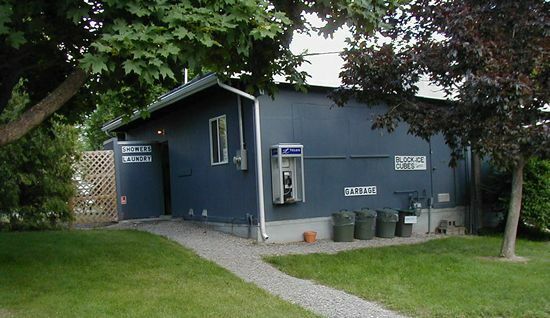 Being located on Erickson Road it is very accessible from all directions. You can't miss our signs. 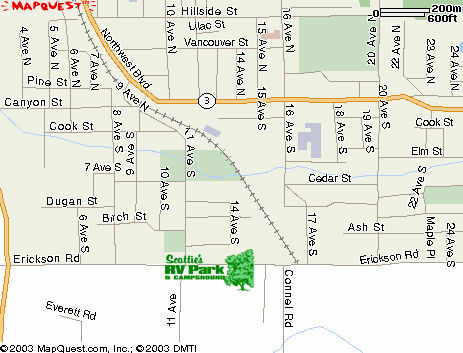 Use the maps below to Scotties RV Park and Campground. Click on the images for a closer view. 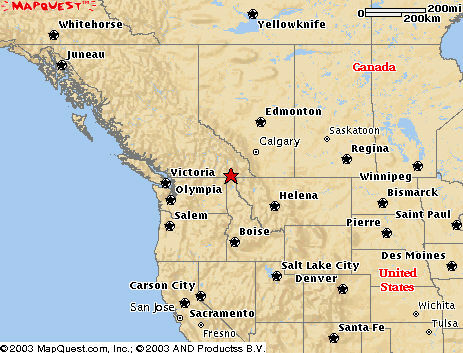 We are located in Western Canada and very near to the Northwestern part of the United States, just minutes from Idaho. 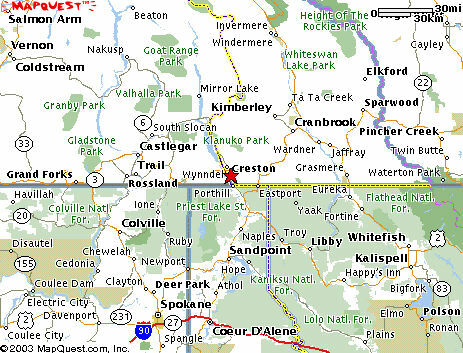 We are accessible from all major highways in Idaho and British Columbia. We are conveniently located, situated just blocks from 2 parks, downtown, grocery stores & gas stations. Click here for another view.